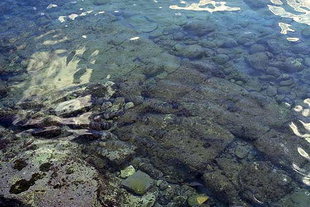 Hersonissos is 26km (30 minutes) east of Heraklion on the National Road. The seaside resort of Hersonissos is a busy town all year round. Half of the shops and hotels are open throughout the year, in contrast to the rest of Crete where many hotels and restaurants are open only during the tourist season of April-October. Tourist offices book most of the hotels, which makes it very difficult to find a room if not booked in advance. 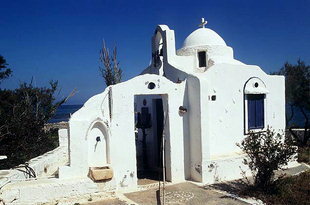 Hersonissos is easily reached from Heraklion and Agios Nikolaos by frequent bus service. 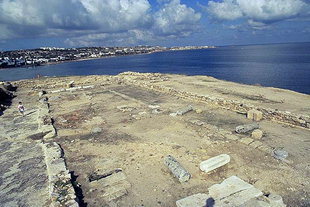 Hersonissos stands on the western edge of the bay of Malia. It is a summer resort with large hotels and tourist shops. In ancient times it was an important trading centre. 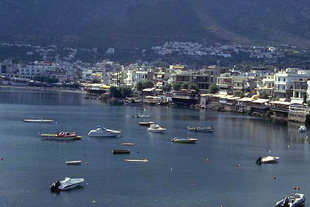 Originally Hersonissos, which means peninsula in Greek, was the harbour of the city of Lyttos (near Kastelli, Pediada). The city later became independent and the inhabitants minted their own coins which depicted the head of Artemis on one side and Apollo with a lyre on the opposite side. 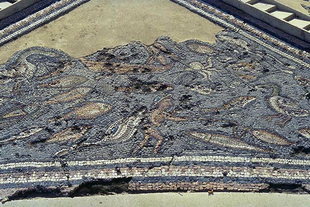 Archaeologists believe that Hersonissos was the site of a temple dedicated to Vritomartis, "the sweet virgin", an ancient Minoan deity later identified with Artemis.